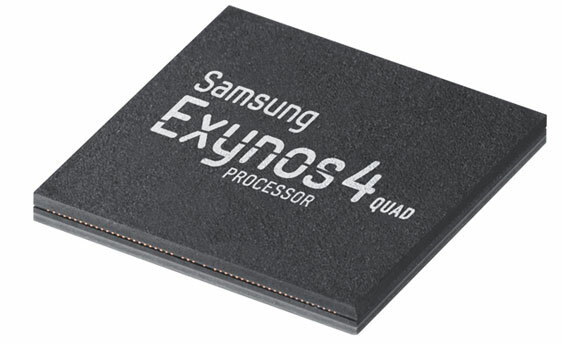 Samsung has announced its latest Exynos processor which is the company’s first quad-core application processor built on the High-k Metal Gate (HKMG) low-power process technology. The processor clocks at 1.4 GHz with four cores based on the ARM CORTEXTM A9 technology. The processor is said to be super-fast and energy-efficient at the same time. The Exynos 4 Quad is designed to handle heavy-load applications such as 3D games, video editing, and calculation-intensive simulation. The processor has a 32nm HKMG low-power process and power-saving design and has two times the processing capability over the 45nm process based Exynos 4 Dual while consuming 20% power. Samsung has also adopted hot-plug functionality to support on-off switching for each core as well as the per-core dynamic voltage and frequency scaling (DVFS), which offers a dramatic reduction in power consumption by adapting different levels of voltage and frequency when changing workloads. The best part is that the chip has identical form factor measurements, so it will pin-to-pin compatible with the 32nm process based Exynos 4 Dual, allowing mobile device designers to immediately adopt the new solution without additional cost, engineering or design efforts. The chip is already in production and is scheduled to be adopted first into Samsung’s next Galaxy smartphone that will officially be announced in May. With this announcement, it is clear that the next Galaxy device will definitely be a quad-core smartphone.